Diamonds and flowers are a girl’s best friends. 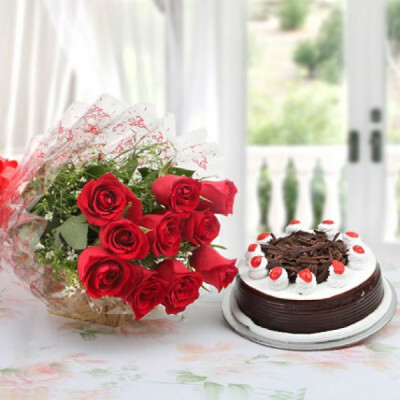 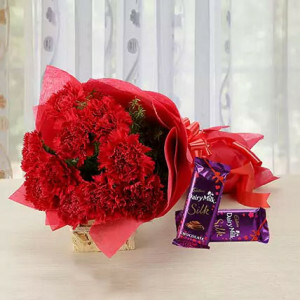 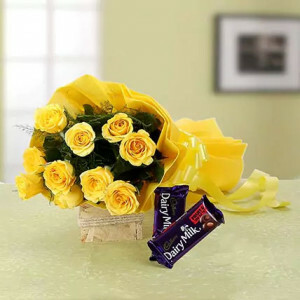 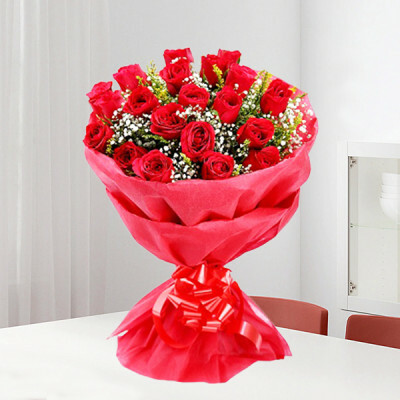 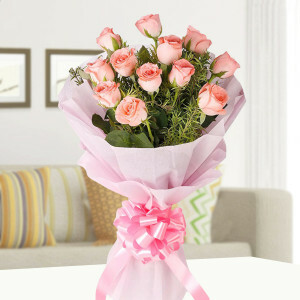 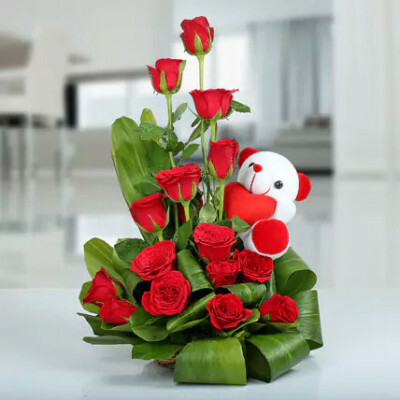 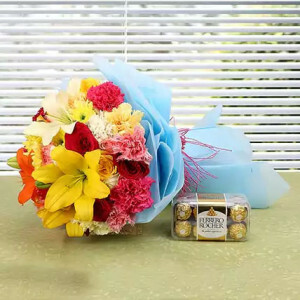 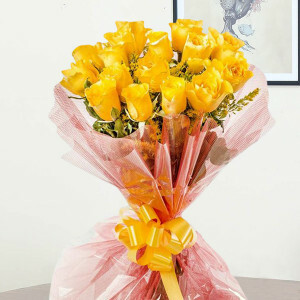 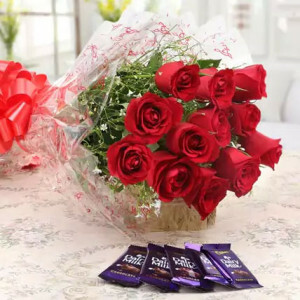 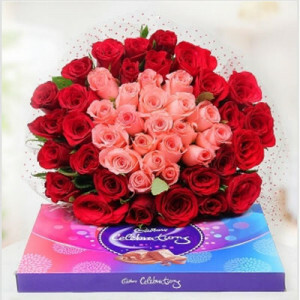 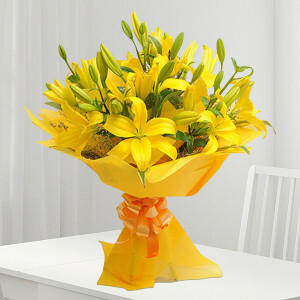 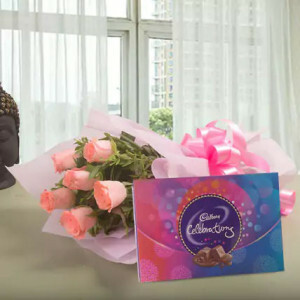 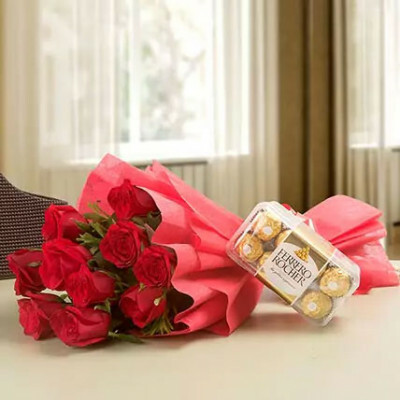 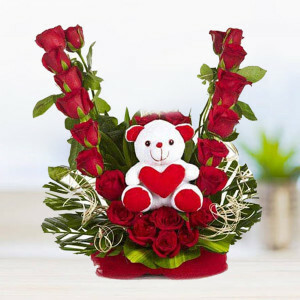 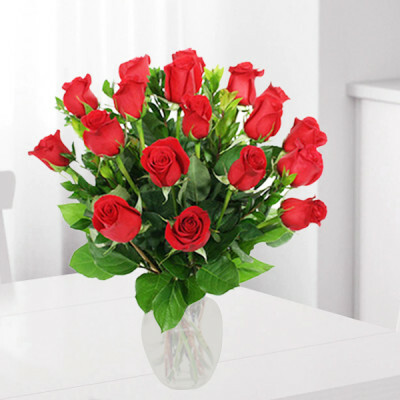 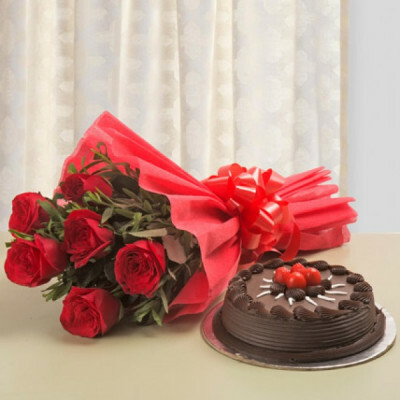 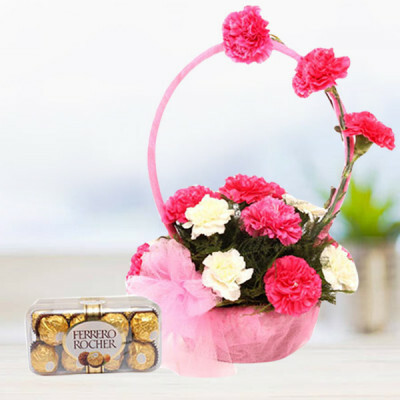 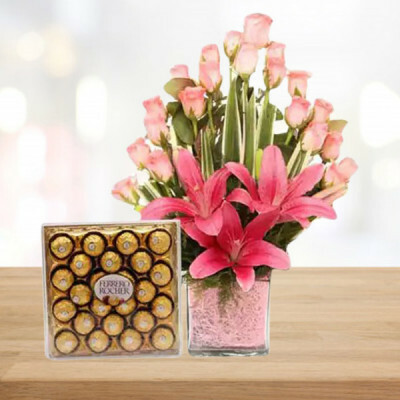 Send your darling in the City of Diamonds your love with gorgeous flowers by MyFlowerApp’s online flower delivery to Surat. 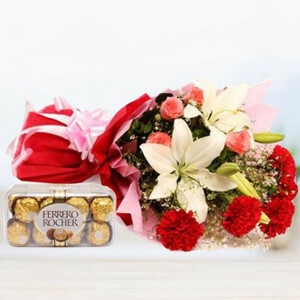 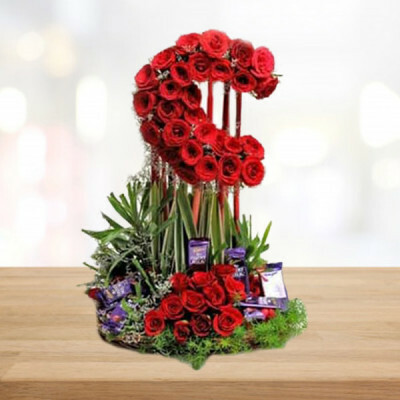 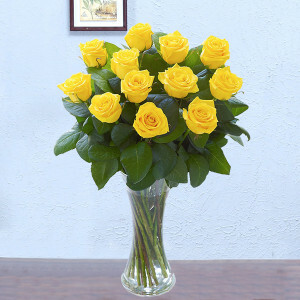 Choose one of our elegant and elaborate floral arrangements designed by expert artisans and local florists and get them delivered anywhere in the city within 3 hours, with our express delivery services. 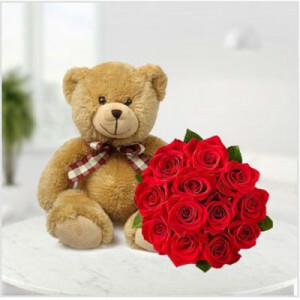 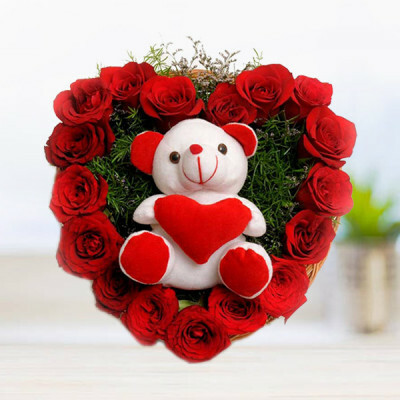 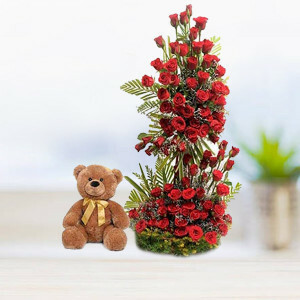 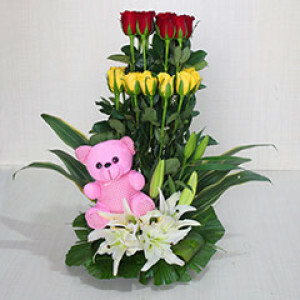 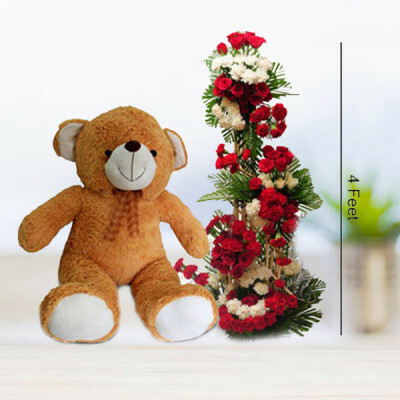 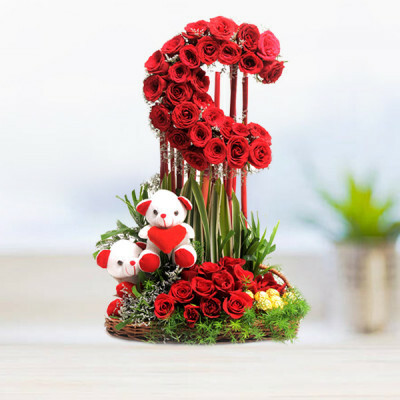 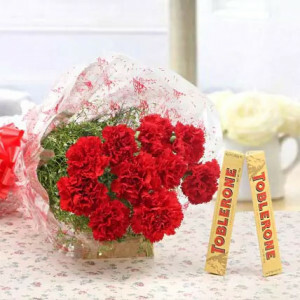 15 red roses bunch with teddy. 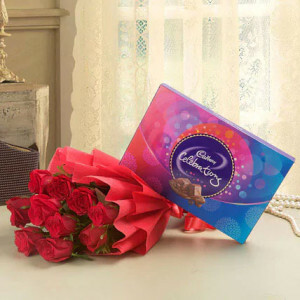 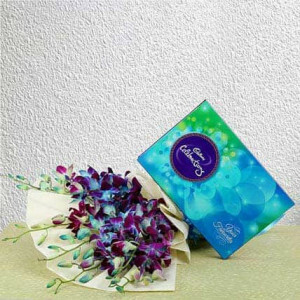 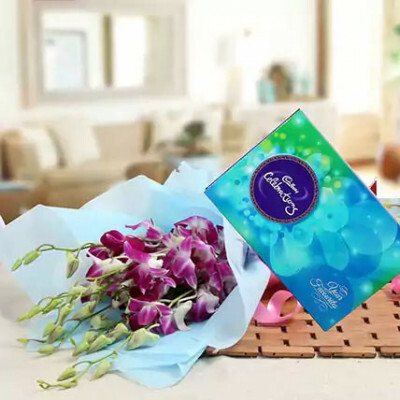 6 purple orchids with Cadbury celebration box.